*Drum rolls* Title says it all! Happy Birthday Althea! You're a 1 year old baby now! You know when I first know Althea, I get really excited because I got to purchase my favourite beauty products, shipped freshly all the way from Korea. Officially a fan of this lip bar ever since I watched the hit K-drama - Descendants of the Sun. You can now find this hot item from Althea website and get it shipped to you without any hassle! Not only Laneige, other Korea brands like Innisfree, Missha, the SAEM, 3CE, Banila Co etc. can always be found from the website. What's more? They even pack your goods in a customized beauty box and send it to your door place. I bet you just cannot resist it! Ever since my first purchase from Althea few months ago, I have officially listed Althea as my favourite beauty shopping site! And because Althea has turns 1 TODAY, Althea is having a festive celebration, where all of us get to be a part of this celebration and enjoy every single bit of it! Remember the date, it starts NOW until 31st July 2016. Get ready to unveil the pink bomb? 1. 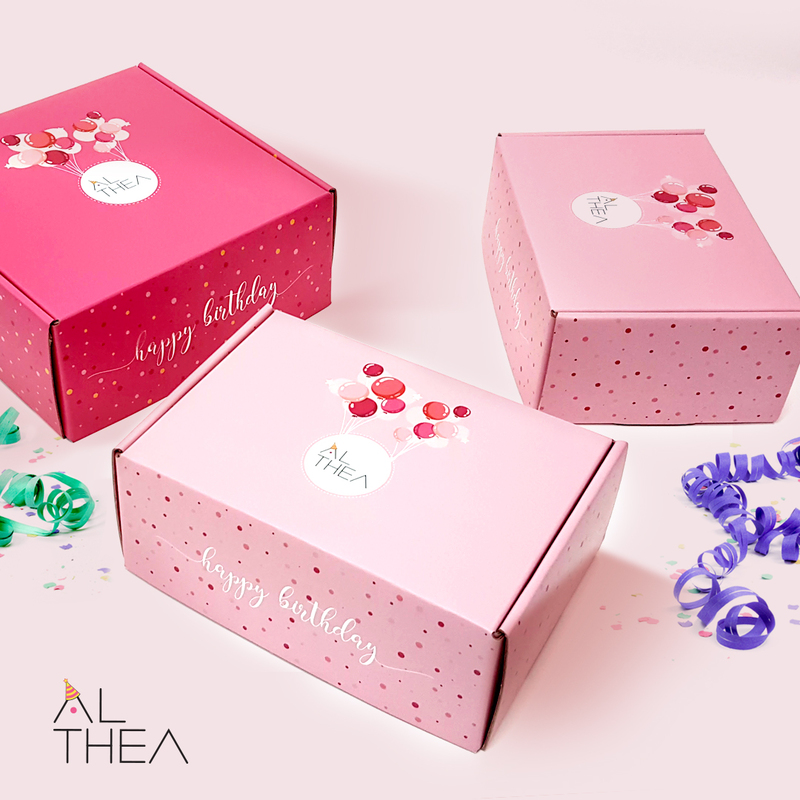 For all orders placed on 20th July onwards, your shopping goods will be packed in a limited edition birthday box with a DIY party kit in it. Isn't this lovely? You just cannot resist the PINKISH feel! Look at this party kit! You get to DIY it yourself with various cute stickers. 2. There will be free goodies - full size beauty products, for the first 1500 shoppers. *while stock lasts* Isn't that awesome?! 3. 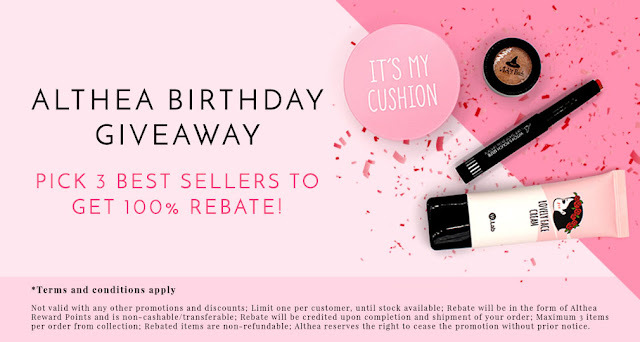 There will be a Althea birthday giveaway, where Althea will pick top 3 sellers for 100% rebate! The rebate will automatically credited to the winners' account. 4. 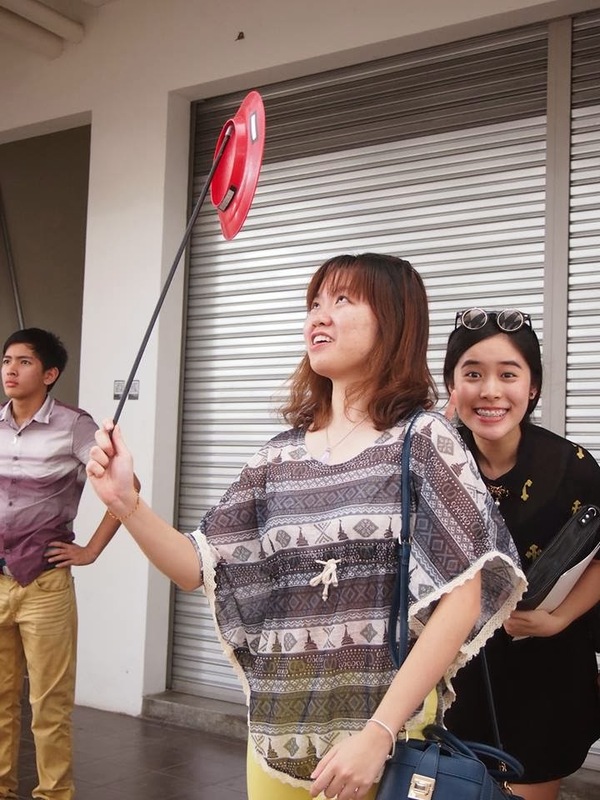 For Instagrammers, this is your chance to shine! Join #AltheaTurns1 Instagram Contest now, where you stand a chance to win amazing prizes. 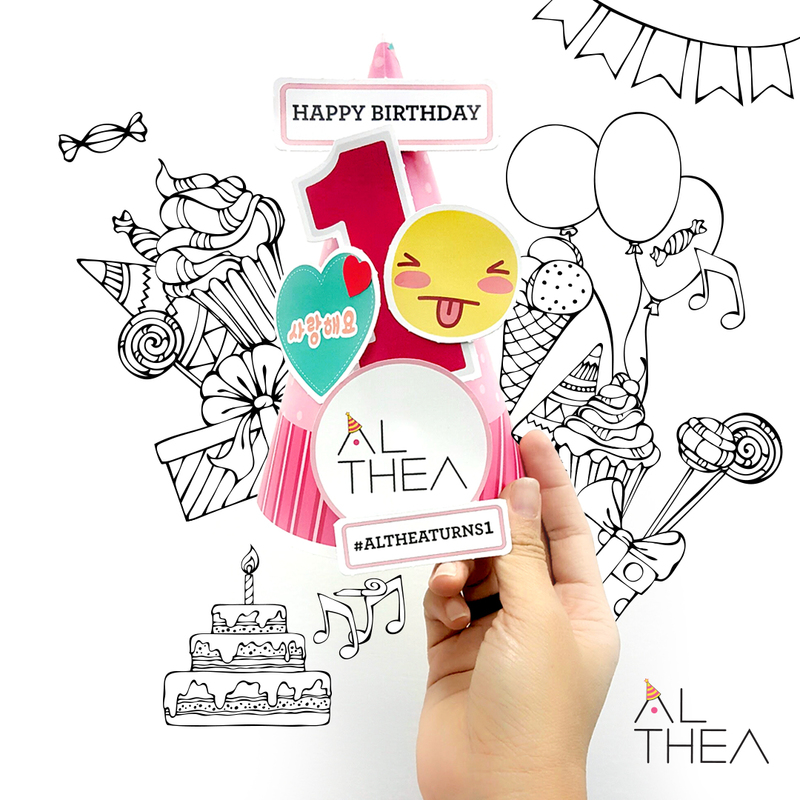 - Wish Althea Happy Birthday with your party kit and #altheaturns1! As easy as that! - And you stand a chance to win awesome prizes including Macbook Air, Ipad Air 2, iPhone 6S, Galaxy S6 Edge, Canon EOS M10 Selfie Camera, Althea credits and beauty hampers exclusively from Althea. Prizes total worth KRW 10,000,000 to be won! Contest starts from 20th July till 15th August 2016. So what you waiting for? Hurry up! Head to Althea's website now at http://my.althea.kr/. T&C applied. Please refer to Althea website and Althea Facebook for more information. Hey guys! This is weird. I know I'm even weirder when I said this myself too haha! Well, I guess it has been almost 2 years since my last post was up. I can't remember when was my last time blogging, chatting about my life and things around me. I guess time flies, and I'm now officially a working adult, no more kiddo ranting about study/love life. Well, in fact, ever since I started working, I really got no much time for myself. Well, I mean a real free time, when I can just stay at home, staring at the ceiling and do nothing. But I guess this hardly can happen, except for now *thanks to raya because I have 5 days off continuously* woohooo! And so here am I, stumbling across my blog and decided to scribble down a little bit about my current life. I'm currently working in Huawei, as a payroll analyst. I guess no one will ever predicted my first job would be becoming a payroll analyst, a HR related job, since I'm a mass communication graduate eh? You know the thing is, after I graduated, while I was still travelling around the world, I started to think, what should I do in the future? Anything particular that I like to do? And I started to get panicky, because I DO NOT KNOW WHAT I WANT TO DO IN LIFE! I always thought, I will get a marketing job right after I graduate, because this is what I always thought that I like it. Deep thinking, I think I do not really like marketing job, I only prefer marketing job over public relations and journalism related jobs. So lots of thing happen in between, and I ended up working in Huawei as a payroll analyst. If you ask me whether I like this job or not, I truthfully confess, I do not know as well. But at least for now, I have a bunch of great colleagues, a good mentor, a good manager, a few gym buddies, in a good working environment. I'm happily learning from my colleagues and I hope I could learn more and becoming more independent in near future. Till then, I'm hoping to see another blog update sooner or later. I gotta admit, I really miss blogging! Yes, I started my internship TWO DAYS ago! It's my first day, officially working in a big company! No friends but with a super brave, preparing-to-war, never-ever-give up, die-hard feelings to place my first footstep in the company lol! 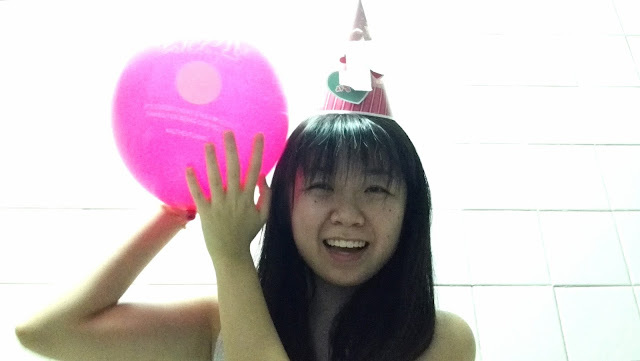 Although I just started my working life for like 2 days, but I starting to miss uni life. My awe- to the -some lecturers, crazily acting friends, non-stop lectures and assignments... It's funny, because I do miss them although I was complaining like mad before that. But working life is not bad, I guess? Well it's just 2 days, so I can't make any conclusions, yet. So the company that I am interning is *drum rolls* GO COMMUNICATIONS *throwing confetti* I was so happy to intern in such a great company, with amazing staffs under dynamic environment. In fact, I feel like I am actually working in a family factory hahaha?! They work professionally, but at the same time, they can be fun too! Hmm, the way of them acting or talking in office is so different compared to lunch time or after office hour. Sometimes, I wonder how they deal with stress eh? Facing with so many different clients and unforeseen circumstances, but they are able to pull it through, like some strong warriors killing their enemies like a boss in war. I only worked for 2 days, but I can feel the stress is slowly creeping in... Well, I'm gonna screw all the obstacles away and work harder to achieve my dream! That's right! I had been to my first ever Artsphere in The Atmosphere @ Seri Kembangan a few days ago. 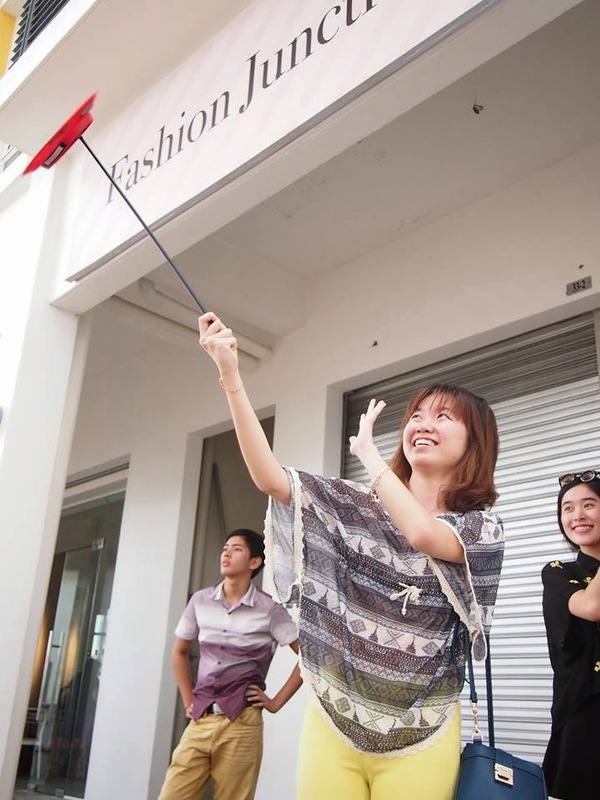 The Atmosphere is a new shopping mall which serves as a hub for the arts, culture, nature, lifestyle and community. The retail lots at `The Atmosphere’ are ideal for specialty stores, showrooms, boutiques, bistros, cafes, restaurants and banks. Well I'm being the typical *jakun* girl, snapping photos and posing like a wild kid here and there around the Atmosphere, which is currently filled with 80 3D and interactive murals. As you all know, I never been to any ART-istic places before, even the very bery feh-mes Penang Mural Street - I've not step my 'historical' foot on that beautiful piece of land lol! Wondering why it was called the Artsphere 20/8 ty? 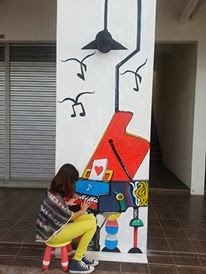 Well this concept pays tribute to the 20 talented artists, that awesomely created 80 pieces of mural artwork, making The Atmosphere the single location with the highest collection of mural art in Malaysia. What's more? These mural arts are 3D masterpieces that will interact with onlookers! Mr Khoo Boo Hian - CEO of Tempo Properties, gave a welcome speech + a brief introduction about The Atmosphere. From left: Ms. Haze Long, Tan Sri Datuk Amar (Dr) Haji Abdul Aziz Bin Dato Haji Husain, Mr. Khoo Boo Hian and Mr. Tan Meng Seng. A group of singers singing accompanied with beautiful violin music. And street dance performers surrounding us, performing their dance tricks during flash mob. 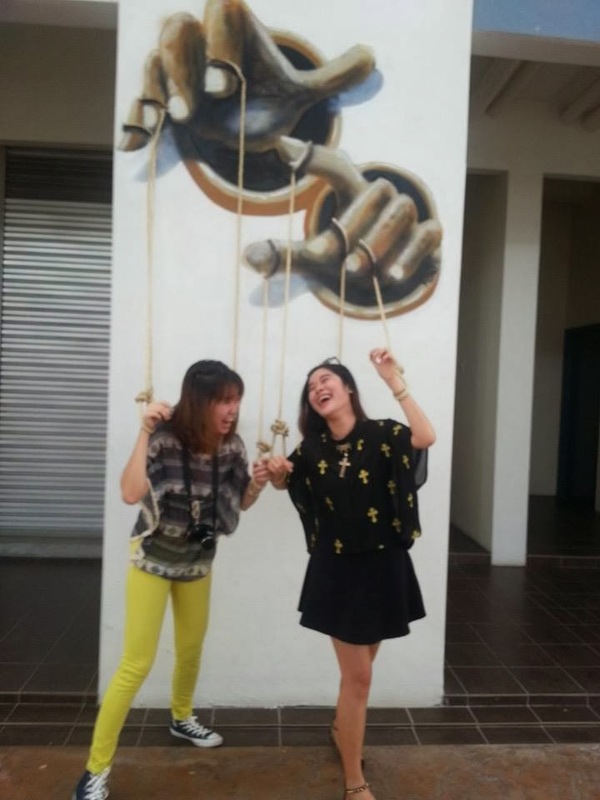 Miss Haze Long (the lady in red) - the founder of Art Misfits + the leader of mural artists for Artsphere! 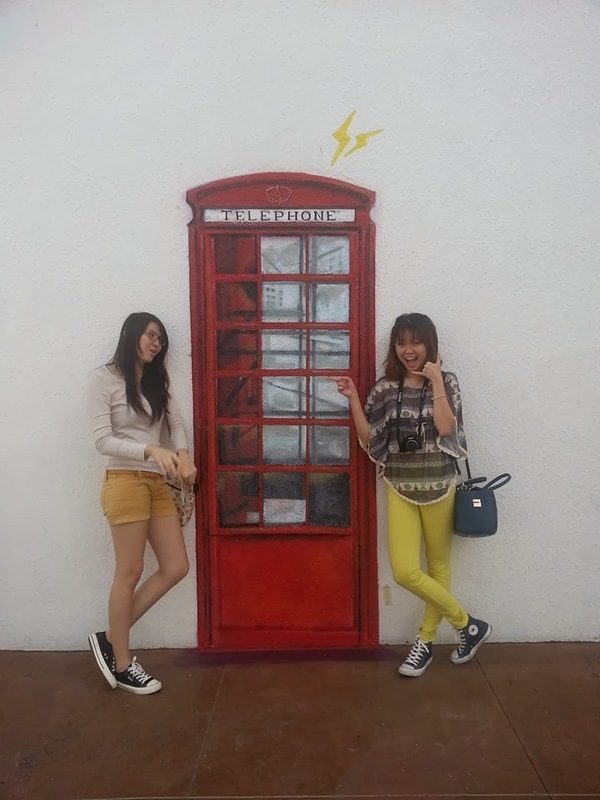 After the grand opening performance, I continued my search-for-80-mural-arts-assignment with my friends - Stephanie and Carmen. We had a tough time searching for the EIGHTIES, and in the end we failed our assignment lol! We only found around like, 50 murals maybe? Stephanie and Carmen happily showing off their Instagram invitation card! 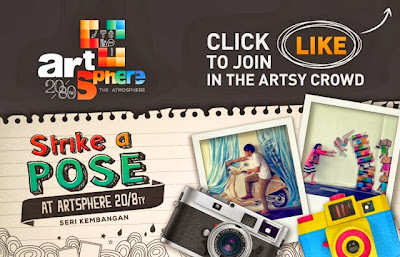 Ready for the photos taken in the Artsphere? Actually we spent most of the time thinking what to pose, and which angle to take the photo, instead of exploring the location of 80 mural arts lol! Best photo of the day - their epic face expression! 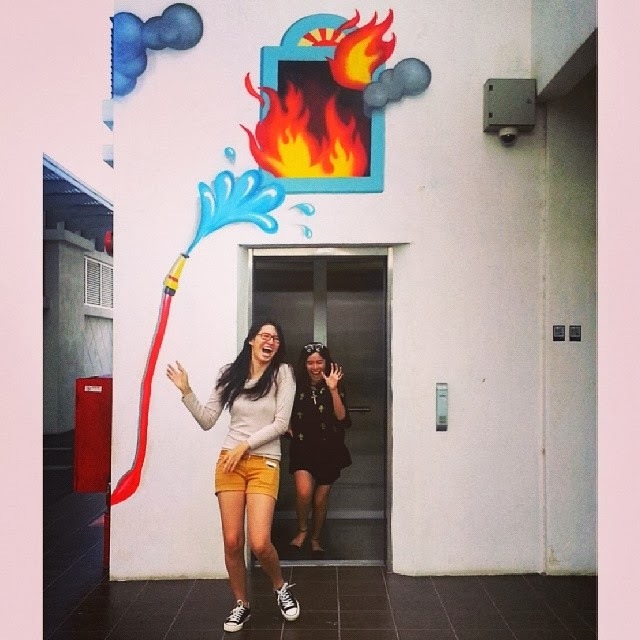 Carmen and Stephanie running out from the building due to fire. "Alice in Wonderland - A Mad-tea Party"
Me trying to reach the waterfall. Trying to escape from the creepy fingers? Isabel and I waiting in the subway station. Posing like a supermodel on the staircase. I gotta said this is my favourite mural artpiece among all that I had visited! Stephanie walking down from the stairs gracefully. Stephanie DESPERATELY asking for, hmmm boyfie? FOOD? hahaha! Little kiddos bringing their super weapons, entering the magical world. On the way up to meet my dream kiddo! Stephanie and I sleeping like a boss! Happiness, among 3 people? How to choose? Not to mention, they also have other activities such as Christmas carols, Mimes, Stilt Walkers, Juggler, street dancers, clowns and street magic. Christmas caroling. Beautiful voices, indeed. And Stephanie obviously was entertained by him haha! 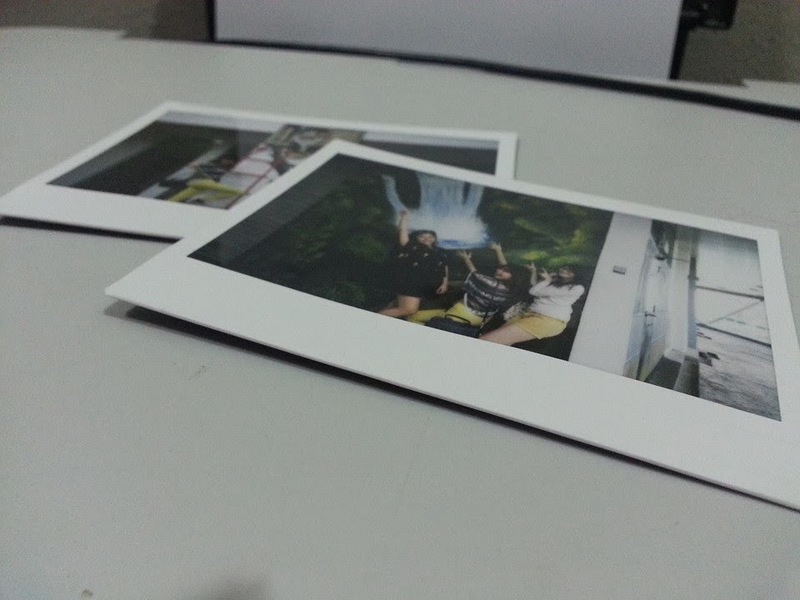 In addition to selfies with the art works on the walls and floors, a Polaroid Photographer will be available at the event ensuring that you leave with a memento in Polaroid form too! Oops by the way, Strike A Pose Photo Contest is currently ongoing on Facebook now, where all you need to do is just, “Strike a Pose” with your desired mural art and stand a chance to walk away with awesome prizes on Artsphere 20/8ty-Official Facebook Photo Contest! P.S There will be 2 categories - MOST LIKED PHOTO & MOST CREATIVE PHOTO. So what you waiting for? Squeeze your creativity juice and create snap your favorite drink masterpiece with any mural arts in The Atmosphere. Prizes up to RM15,000 is waiting for you!